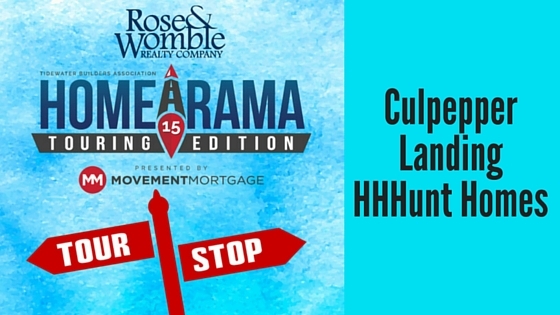 Culpepper Landing is a very popular area for Hampton Roads families, and HHHunt Homes is a great builder for this neighborhood. The Garrett is HHHunt Homes’ entry into the 2015 Tidewater Builders Association’s Homearama Touring Edition. This four bedroom, three and half bath home has a gourmet kitchen with granite counters and available breakfast nook. Home buyers can choose to add a finished room over the garage, perfect for media room or guest suite.